As you know, I am enrolled in Poetry 101. It’s been a challenge (that means you, odes), but I have enjoyed it. Thursday I did a limerick (if you want to read it, it’s my last post) about my disdain of math. It was so much fun! Because of that, I have decided to write another couple. My pooch’s name is Maggie. My dad calls her Haggie. To walk is really a strain. But too bad he can’t use a cane. My nine-year-old Corgi, Margaret Elizabeth (such a feminine name for such an unfeminine dog! ), exudes tomboy. She is a boy with female parts. A goy or a birl. I look out the French doors of my room and she could either be rolling around on the grass in the backyard, as though she is having a grand mal seizure, or chasing one of the many lizards that live back there. 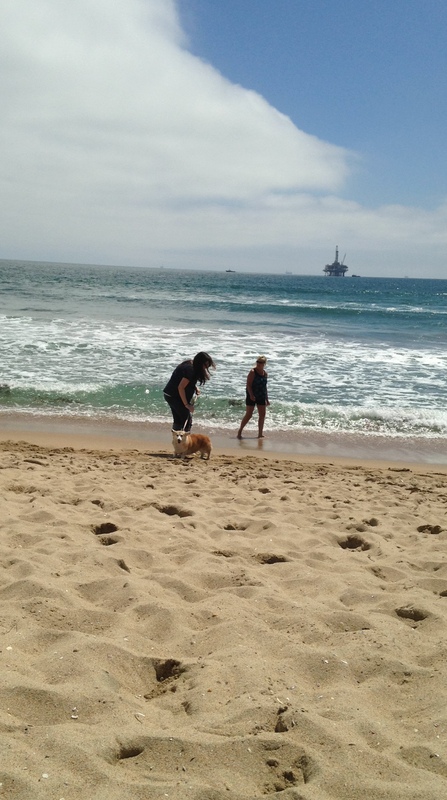 On my 31st birthday last July, I wanted to take her to the Huntington Beach dog beach. I could see it now: she was going to have a blast splashing and playing in the waves with the other dogs! Her inner boy could come out! At least, that’s how I imagined it. 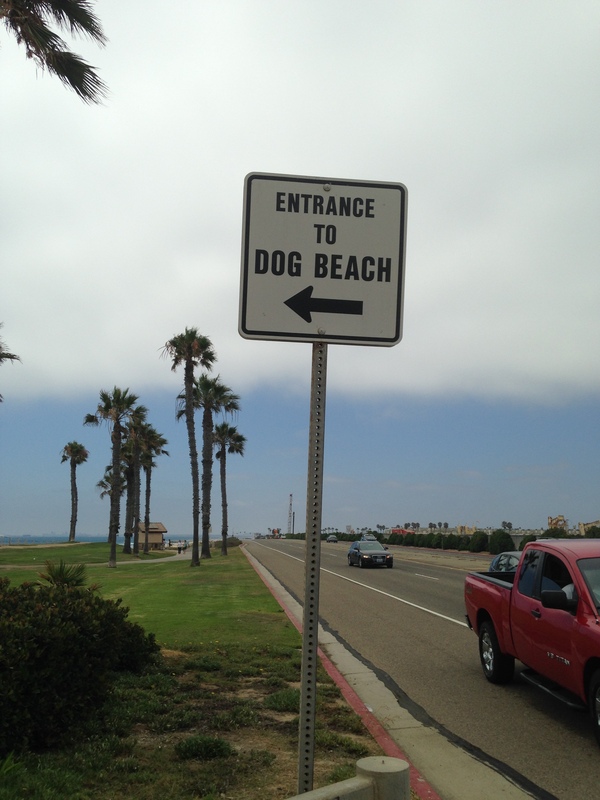 What dog wouldn’t love spending a day here? Erin: Maggie, you’re going to have fun, I love the beach! Maggie: I hope so, just not sure about this stuff under my feet. I don’t really like it. Erin: It’s called sand. It’s hard at first, but you’ll have so much fun you’ll forget about it. Erin: Let’s go down by the water. Erin: It’s like what you drink, but at the beach you play in it. 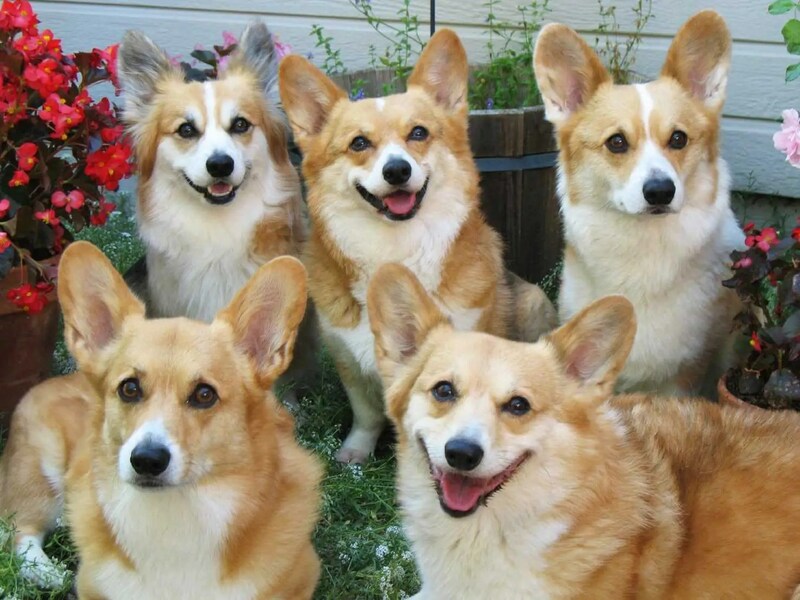 Look at how much fun those dogs are having! Maggie having no part of it. Without even getting a paw wet, my goy had had enough. 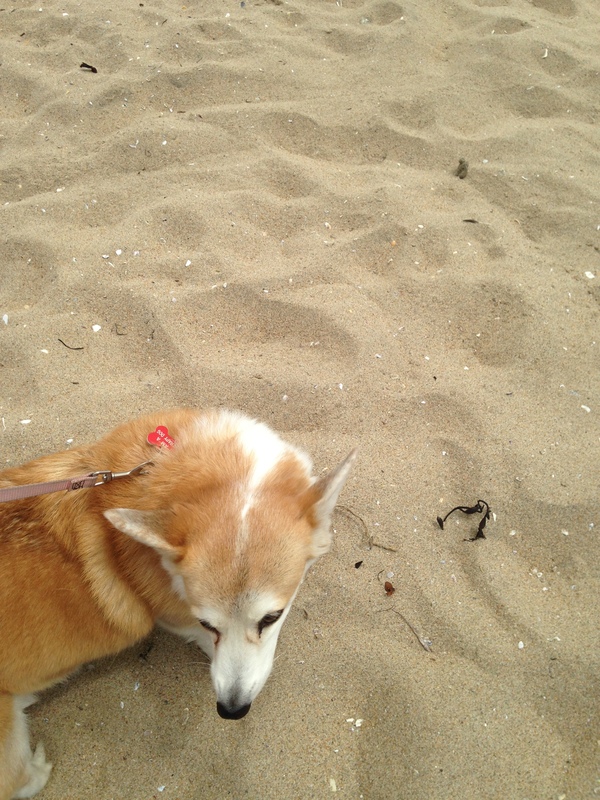 We spent another hour at the beach, occasionally one of my family members taking her back to the water, with no success. She was braver more comfortable on the blanket. 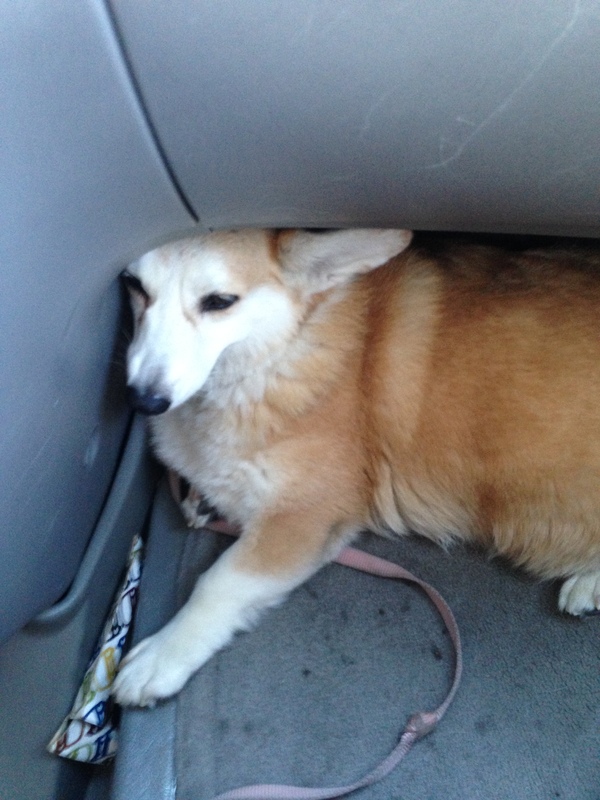 When we finally left—none too soon for Maggie—my dog rested the whole way home and a lot of the next day. She was exhausted. FROM WHAT, I still wonder. Maybe next time we’ll try the mountains. Or the desert. Or even the backyard. Just not the beach.